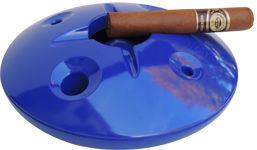 TThis 2 part large 8" commercial quality windproof ashtray hides ash and cigarette butts inside & keeps tables clean & ash free, especially in a breezy outdoor setting next to the pool. The 4 unique snuffer holes make it easy and quick to extinguish your cigar & cigarette. This is the perfect smoking accessory for indoor or outdoor use. The two-piece design keeps odors and unpleasant ashes and cigarette butts out of view and allows for easy removal of hidden ashes and butts when required. The easy-clean melamine makes it heat resistant and dishwasher safe. Sun resistant colors go well with outdoor pool and patio furniture. 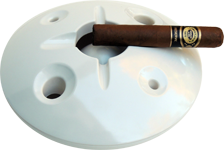 This unique commercial grade round windproof ashtray hides ash & cigarette butts inside & keeps tables clean & ash free, especially in a breezy outdoor setting. Specially designed holes makes snuffing of cigarettes easy. This is the perfect smoking accessory for indoor or outdoor use. The easy-clean melamine makes it heat resistant and dishwasher safe. Sun resistant colors go well with outdoor pool and patio furniture. The unique removable lid keeps ashes from being blown by wind and reduces odor while keeping ash and butts out of sight, even while smoking. You can enjoy a continuously clean-looking ashtray. Holds 3 cigarettes at the same time. Available colors are Blue (Navy), Green, Black, White, Sky Blue, and Red. This unique commercial quality square windproof ashtray hides ash & cigarette butts inside & keeps tables clean & ash free, especially in a breezy outdoor setting. This is the perfect smoking accessory for indoor or outdoor use. The easy-clean melamine makes it heat resistant and dishwasher safe. Sun resistant colors go well with outdoor pool and patio furniture. Holds 4 cigarettes at the same time. Available colors are: Black, White, Blue (Navy). 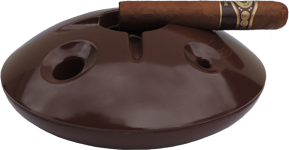 This attractive, cigar/ cigarette disposal ashtray is designed for ease of use, comfort and performance. It's ideal for businesses, backyards, picnics, camping, boating, and beach - or to keep outdoor living areas clean and rubbish-free. It is odor free and easy to use, empty and clean. Keep your community clean with these Pocket Ashtray. Ideal for pocket or purse. Encourages responsible disposal of cigarette litter. Steel construction lasts for years of use. Lid snaps closed to keep butts safely inside. Lid also has a cigarette holder. 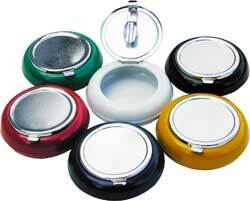 Windproof ashtrays, in one form or another, have been around for many years. They come in many shapes, designs and sizes and despite some claims, are not smokeless. The major advantage of these windproof ashtrays is their ability to keep ashes or cigarette butts from blowing around, into the pool or on your food or clothes, even in reasonably strong windy conditions, hence called windproof ashtrays or outdoor ashtrays. Since, they also hide ashes and cigarette butts, they are also used indoors making the smoking areas a lot more pleasant, not only for the smoker but for the rest of us. Our commercial quality windproof ashtrays are used indoors or out by your pool or patio and are very effective in keeping cigarette butts and ashes from blowing around when windy. The two-piece design cuts down on odors and keeps cigarette butts and ashes inside and out of view. 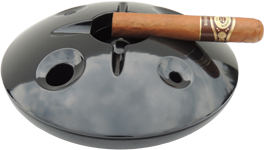 The built-in snuffer holes in the round ashtrays make it quick & easy to extinguish your cigarette which can be saved for later if desired. These ashtrays are used by cruise lines, hotels and resorts, keeping tables clean and ashes from blowing around in the wind. They are also dishwasher safe.